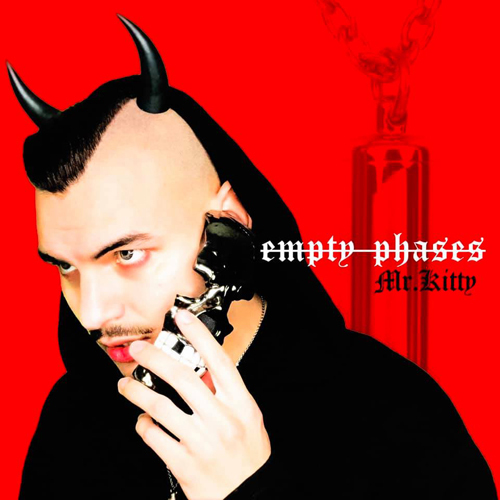 Austin, Texas based synthpop artist Mr.Kitty has released a new song, “Empty Phases,” from his upcoming album, EPHEMERAL. The song memorializes a friend lost to suicide, with the artist explaining that, “Sometimes life is death and today, I have the chance to bring death to life.” The track was released on February 1, premiering on Post-Punk.com to mark the one year anniversary of his friend’s passing; all proceeds from the sale of “Empty Phases” will be donated to the American Foundation for Suicide Prevention to help raise suicide awareness. EPHEMERAL is due out this spring on Negative Gain Productions; spanning 30 tracks, the album will be available in double CD and double cassette formats, with pre-orders to be announced shortly.